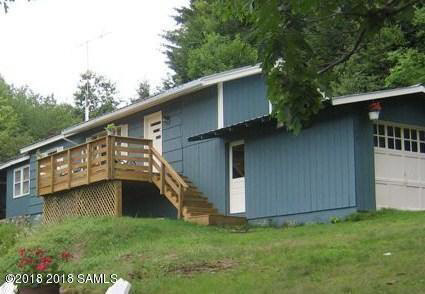 This 3 BR, 1 BA cozy ranch has wonderful views of Brant Lake and the surrounding mountains, along with deeded dock space just across a quiet road. Deck & attached 1-car garage. Enjoy all four seasons--relaxing, fishing, swimming, boating, hiking, golfing, skiing, snowmobiling. A brand new state-of-the-art septic system has been installed , drilled well and new electric heaters and thermostat. Easy access to Chestertown or Lake George. Too much to list as far as amenities. A great price at $235, 000.